Here is September’s Fashion Blogger column. Autumn Winter 2013 trend agenda cont… Festival season is over people. Electric Picnic has spewed forth its sea of carefully ragged denim, Hunter wellies and fake Ramones T-shirts for another year. It’s time to concentrate on clothes that don’t suit being covered in mud and beer. Last month, ignoring the go-to ‘what to wear at a festival’ column idea, I talked about the top three trends for this season; pink coats (you don’t say), high shine loafers and leather pencil skirts. Happily, this season’s trends don’t stop at three key pieces, so we’re adding more to the A/W’13 trend agenda list. 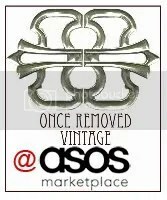 If you ever read my blog you’d know I was into vintage in a big way. This season rather than create a cringe-worth pastiche designers have incorporated the most appealing elements of the vintage vibe of the ultra-fem 40’s and 50’s; the full skirts, the neutral colours, the elegant, quality tailoring etc. The full skirts aren’t floral printed with voluminous netted underskirts, they’re ox-blood coloured leather, the leather gives them volume instead. Zara claims dibs on this one (pictured €159). Handbags have two handles and come in classic bowler shapes, but in buttery claret leather and have a cross-body strap for modern versatility. I’m jumping on the M&S bandwagon, have you seen those ads? If it’s good enough for Dame Mirren… I love this one (Pictured €99). And the cable knit jumper – happily adorning every fisherman from here to Kenmare – has finally found its feminine side. Hobbs added flowers to its knitting pattern and created this Wheatsheaf cable knit (pictured €130). These pieces are modern day classics; like the Macintosh of the 30’s, the tuxedo suit of the 20’s or the shift dress of the 60’s. We know where the style originated but we’re adopting it and taking it into our era. This style is ours and the very last thing it is, is vintage.